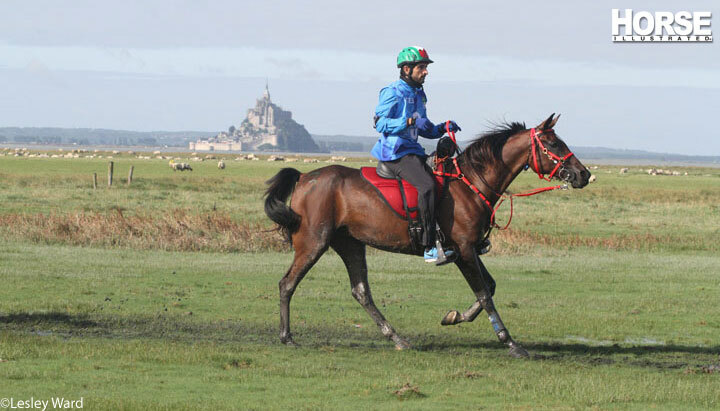 Sheikh Hamdan bin Mohammed al Maktoum of the United Arab Emerites and Yamamah were the first combination to cross the finish line of the grueling 100-mile endurance course near Sartilly, France, on Thursday, Aug. 28. 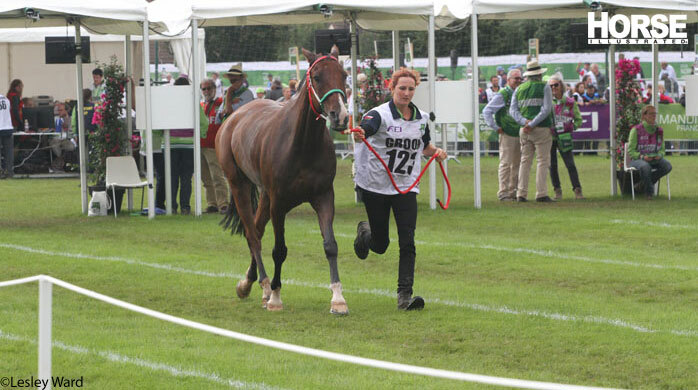 The young sheikh and his tough 15-year-old Arabian mare held the lead from start to finish. 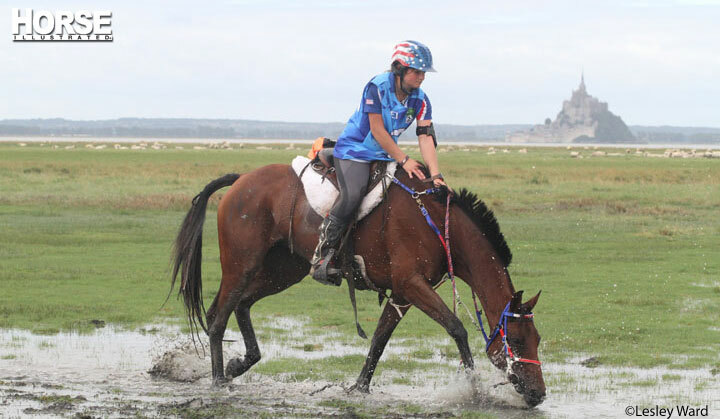 Several days of rain in the area off the northwest French coast resulted in sticky mud and deep going on the course, and although 166 competitors began the course, only 35 finished. 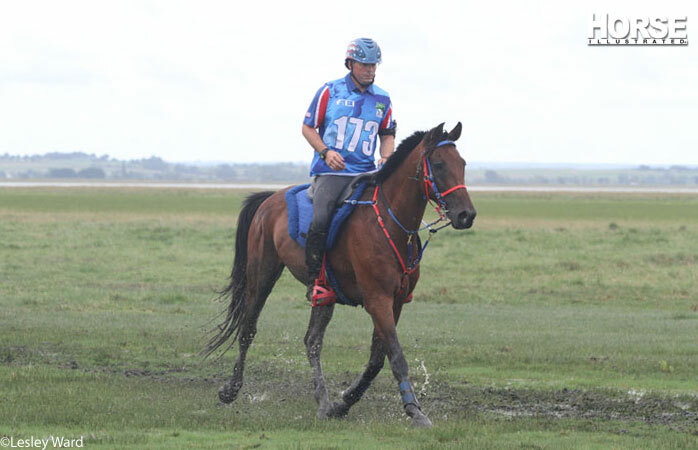 Sheikh Hamdan completed the course in 8:08:28, more than 10 minutes faster than his closest competitor, Marijka Visser of the Netherlands riding Laiza de Jalima. 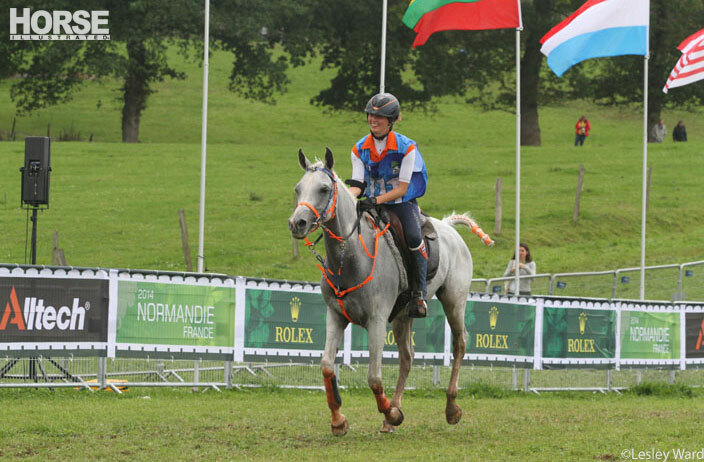 Qater’s Abdulrahman Saad Al Sulaiteen and Koheilan Kinsco took the bronze medal. On the team front, Spain took gold, France silver and Switzerland bronze. 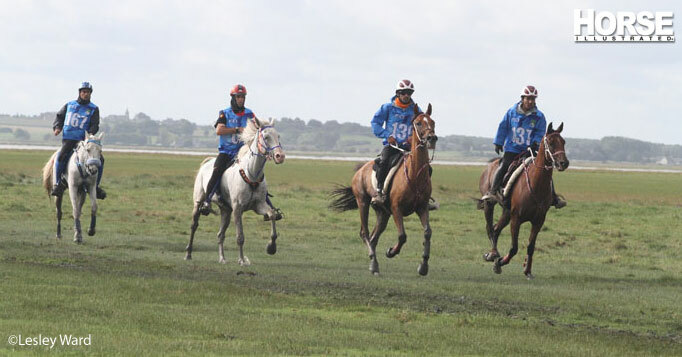 The race began at 7 a.m. with many of the competitors sporting headlamps attached to their helmets to show them the way. 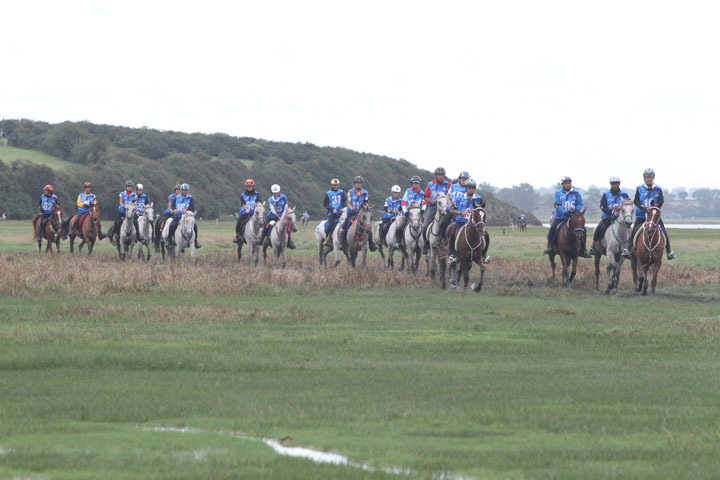 The problems on the course started early on the first of the five loops. 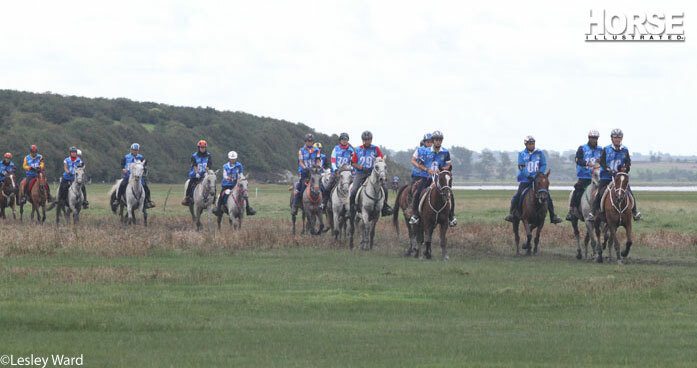 Because the course traveled over varied terrain, including beaches, marshes, grassy fields and paved roads through tiny villages, many competitors found their horses slipping and falling. 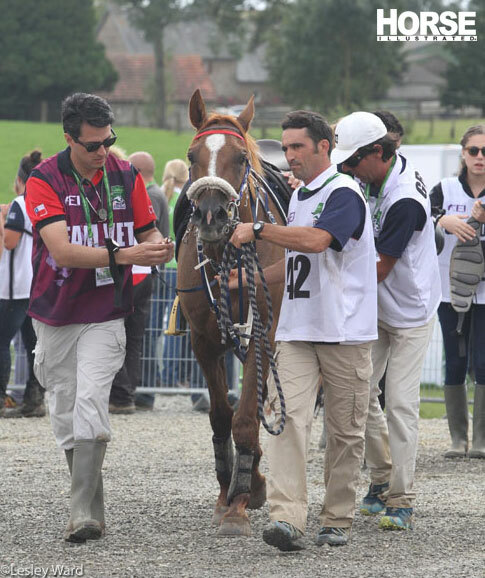 One horse, Dorado, ridden by Costa Rican Claudia Romero Chacon, struck a tree and suffered a fatal injury just 400 meters before the first checkpoint on the first loop. 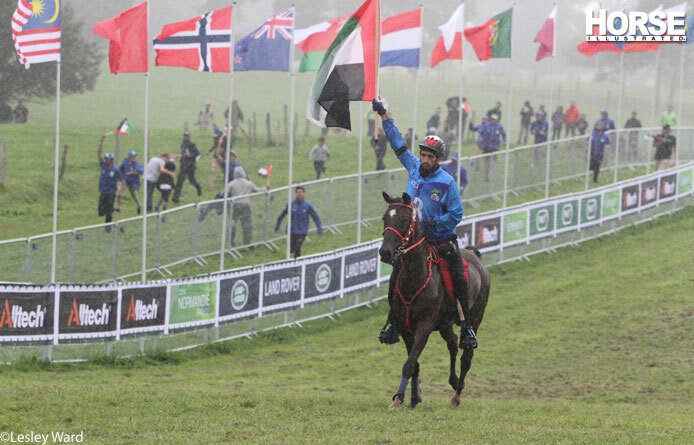 Even Sheikh Hamdan’s horse fell once on course, but he managed to remount and continue. 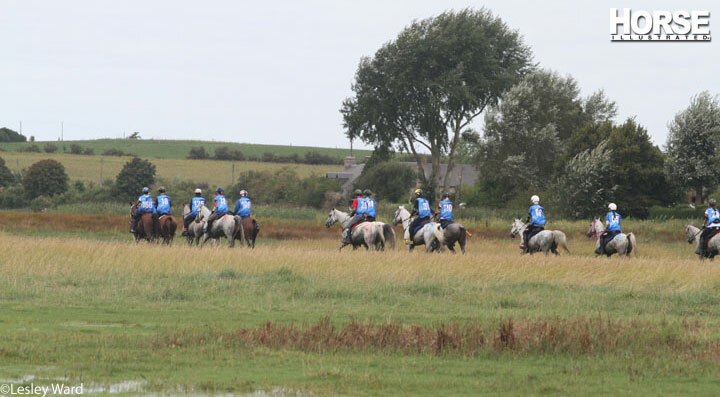 The humidity was also given as a reason why so few horses completed the course. 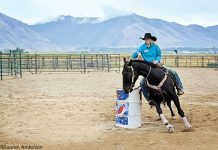 Many riders said that the horses found it difficult to breathe and many of the horses succumbed to metabolic issues such as tying up or overly-elevated heart rates. 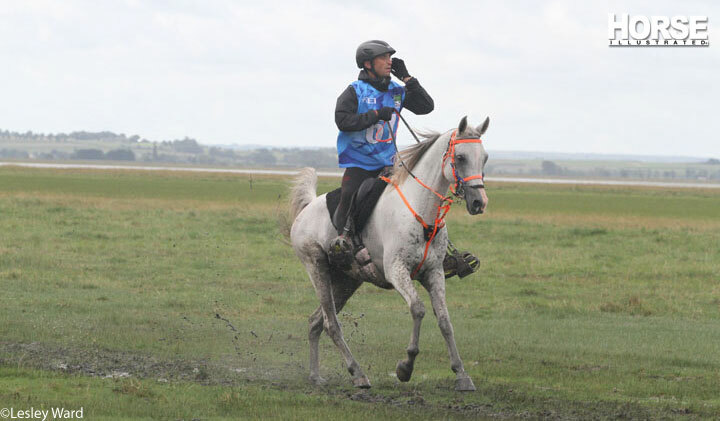 And because of the deep mud, horses lost shoes all over the course and many had to retire. 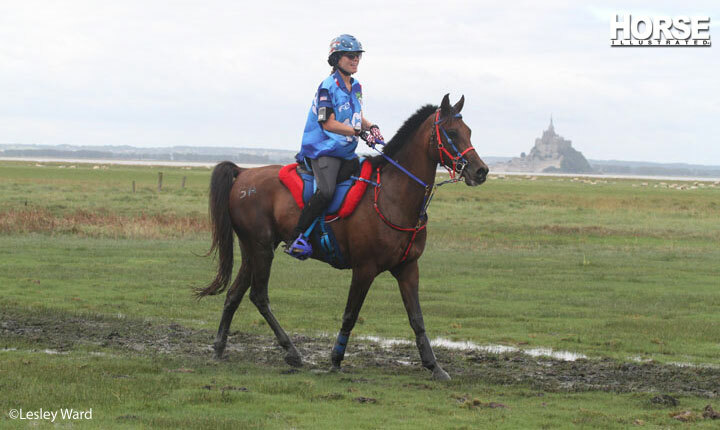 The United States team of Ellen Olson, Heather Reynolds, Jeremy Reynolds, Jeremy Olson and Kelsey Russell–the youngest member of the team at just 18 years old–started out strong, with Heather Reynolds and Chanses near the front of the pack on the second loop as the riders galloped along the beach near the beautiful Mont Saint Michel Abbey, but it wasn’t long before the team members began having problems. Jeremy Reynolds and RR Gold Dust Rising were pulled at the first vet gate for metabolic problems, Ellen and Hot Desert Knight were out at the second vet gate for the same reason and the third vet gate claimed Heather and Chanses for metabolic issues and Kelsey and My Wild Irish Gold for lameness. From then on the U.S. team’s hopes rested on Jeremy Olson of LaMotte, Iowa, and his own Wallace Hill Shade. It was nearly dark as the American pair crossed the finish line in 31st place with a time of 10:46:16. 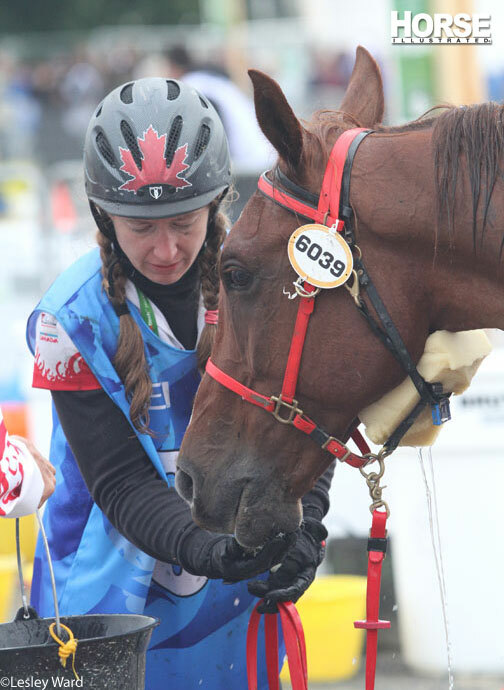 Thirty two year old Jeremy grew up surrounded by endurance riders—his mother, father, sister and brother have all ridden competitively—and he competed at his first 50-mile ride when he was only 7 years old! Ellen Olson and Hot Desert Knight of the U.S. Photo: Lesley Ward. Great photos! Love the one of the horse getting a bath. Wow, sounds like quite a race. Surprised that so few finished! It was fun to see what your shared with your readers from that session on the beach and I recognized several of your images. I enjoyed chatting with you and hope the rest of your journey went well.